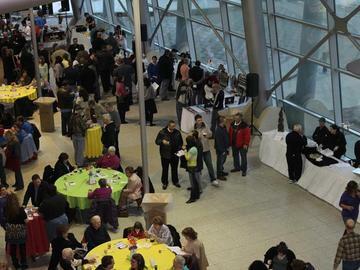 Our 12th annual auction to benefit Summerfest is March 30, 2019 This fundraising event for Liberty Family Outreach is our largest source of income and helps us impact thousands of people in our community. This is a fun event with some great items being auctioned off. Featuring Themed baskets, sports memorabilia, handmade items, jewelry, event tickets and more. We will feature both silent & live auctions as well as delicious food samples from local businesses. All of the proceeds from this event will go directly toward our annual Summerfest Outreach, ESL Classes and our Food Pantry. No one under 12 yrs old admitted.